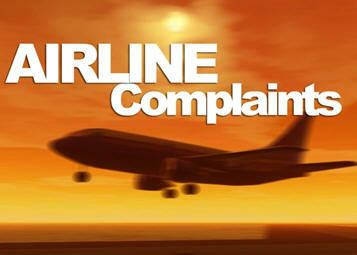 Airline Complaints Surge. Is Anyone Surprised? Consumers Offer Their Best Travel Tips for The Summer. 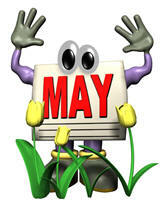 It’s that time of year again when families are finalizing their summer travel plans or making their way to a college graduation. Over the past several months, we’ve been gathering a number of good travel tips from readers and members of the American Consumer Council. Below are some keepers we recommend you follow. Make copies of your passport, credit cards, visas and driver license. Too often, we hear the sob stories of consumers who lost their wallet, left behind a credit card at a restaurant, or were the victims of a pickpocket. While you may not be able to prevent a theft or a memory lapse, you can be prepared. We recommend you make two-side photo copies of each credit card, your passport and your driver’s license. Always keep them in a separate place like a carry-on bag – but not on your person – just in case you get robbed. And, yes, always have two-colored passport photos with you as well. It will save you time, money and headaches if you lose your passport. Traveling by Car? Keep a cooler with you. Travel writer Ellen Phillips reminds us that “Coolers are great inventions.” We agree! Whether you’re driving to the next town or across the country, always carry a small container with water, an ice pack, healthy snack foods, and medicine. If you ever get stuck in a serious traffic jam or your car breaks down, this cooler will come in very handy. Carry an Extra Cell Phone Battery with you. You never know how fast all those apps and games will drain the life out of your cell phone. So, carry your cell phone charger and adapter with you. But even better, there are now long-lasting small cell phone batteries-adapters you can drop in your purse or travel bag to ensure longer cell phone use when you can’t find a plug to recharge your cell phone. Call your Credit Card Company and Advise Them of Your Travel Plans and Destinations. This is a “must” for anyone who is traveling to a foreign country. Call the number on the back of your credit card a few days before your departure and let them know where you are traveling, and for how long, so they can flag your card for pre-authorizations. One consumer told us that his credit card was blocked when he travelled to China because they suspected fraudulent activity. He had to call his credit card company and reassure them he was in Shanghai and Beijing. The lesson learned: call ahead and save yourself the time and hassle. 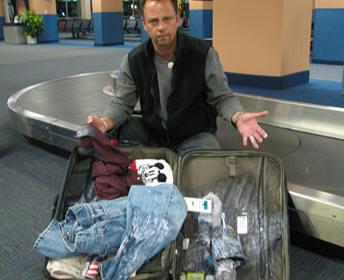 Pack one change of clothes in each person's airplane carry-on in the event your checked luggage is misplaced. On more than one occasion I landed at my destination only to discover my checked luggage didn’t arrive with me. I was so glad to have a carry-on bag with a fresh shirt and other fresh clothing to get me through the next 24 hours until my luggage was delivered to me. Be sure your carry-on bag also includes the clothing basics along with some refresh products, toothbrush, medicines, passport copies and your travel documents. Pack, Wear and Discard Your Old Stuff. Several consumers suggested that when you travel, pack old underwear, socks and evens shirts or slacks that you plan to discard soon. Once you wear them on your trip, just discard the items the next day. This will lighten your luggage and it allows you to make more room for souvenirs and gifts. Another suggestion is to buy travel underwear before leaving. Because the pieces generally are made to wash and wear, it's necessary only to take two or three rather than a week or more's worth. And because you only use them when you take trips of any duration, they last for years. When traveling with kids on a long destination, create an activity packet for each child. For example, coloring books, blank paper, activity sheets, and the like, along with crayons and writing utensils in Ziploc bags will keep the kiddies entertained. Check online for free activities and coloring pages. Of course, nowadays, just give them an iPad with the latest movies and games and you won’t hear a peep from them… until they need a restroom stop! If Your Child is Traveling Solo…. If little Johnny or Jane is traveling solo, be extra cautious before handing him or her over to the flight attendant. Always try to book your little one on a nonstop flight so your child doesn't need to change planes or trains. Go over the itinerary several times before he/she leaves and pin his identification and itinerary inside a pocket, along with the name and contact information of the person picking him up on the other end. Do not pin your youngster's name on the outside of his shirt; pedophiles and other unsavory creatures are everywhere and on the alert for innocents. 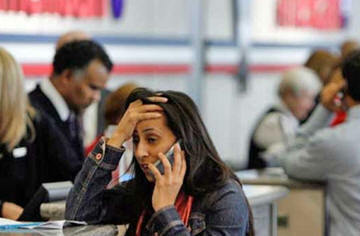 Airline Complaints Surge. Is Anyone Surprised? It’s that time of year again when airfares soar, flights are delayed and consumers swear “I’ll never fly that darn airline again!” Yes, consumer complaints against airlines are rising even as the carriers get slightly better at staying on schedule. The U.S. Department of Transportation said Monday that it received more complaints from consumers in March than it did in either the previous month or March of 2014. While the numbers are still very small — only about one in every 50,000 passengers complains to the government — they vary greatly among carriers. Passengers on Frontier Airlines were 34 times more likely to complain than passengers on Southwest Airlines, which has the lowest complaint rate. Spirit Airlines had the second-worst rate. Frontier and Spirit are so-called ultra-low-cost carriers that charge low base fares but add fees for many things including carry-on bags and seat assignments. A Frontier spokesman said customers who called the reservations center in March were sometimes put on hold for up to 45 minutes as the airline switched to a new reservations system. Go figure? Transportation Department officials recently discussed the complaint levels with both Frontier and Spirit. There are no penalties for having a high complaint rate, but the department considers them when deciding whether to investigate potential violations of rules dealing with fare advertising, overselling flights and other consumer issues. Overall, the March complaint rate among the 14 airlines covered in the government report jumped 27 percent from February and 55 percent from the previous March. The Transportation Department said that 78.7 percent of flights operated by those 14 airlines arrived on time in March, up from 72.8 percent in February and 77.6 percent in March 2014. The government defines an on-time flight as one that arrives within 14 minutes of schedule. Hawaiian Airlines — blessed by usually good weather and lots of short flights in its home state — ranked best, while Frontier was last. Frontier said it is increasingly focused on getting the first flight of the morning out on time so that delays don't cascade throughout the day. Envoy Air, a regional carrier that operates many American Eagle flights, had by far the highest rates for canceled flights and lost or damaged bags. Envoy spokeswoman Martha Thomas said that when bad weather hits, American often gives priority to its flights and cancels regional flights with smaller planes and fewer passengers. She said increased staffing and schedule changes at hub airports in Chicago and Dallas have led to better on-time performance in April and May. 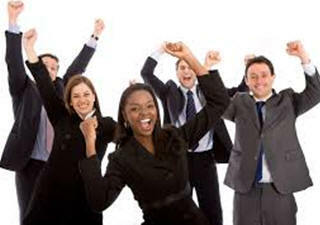 ACC Annual Business Meeting Scheduled for Friday, June 12, in San Diego. 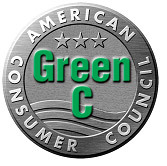 The American Consumer Council (ACC) has announced its 2015 annual business meeting will be held at the Rancho Bernardo Inn located in San Diego on Friday, June 12, at 10:00 am. Members are welcome to attend. For details, please contact ACC at 1-760-787-0414.